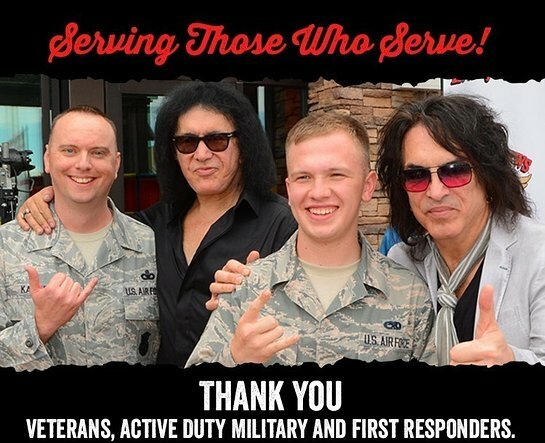 Rock & Brews Restaurants, the rock-inspired, family-friendly restaurant brand co-founded by KISS front men Paul Stanley and Gene Simmons, will again pay tribute to veterans, active military and first responders with free food on Veterans Day, Monday, Nov. 12. The effort will help raise funds for the United Service Organizations (USO) throughout the month of November to recognize the service and sacrifice that service members and their families make every day. On Veterans Day, participating Rock & Brews restaurants nationwide will offer a choice of either a complimentary Pulled Pork Sandwich with a side dish or a Strawberry Fields Salad. 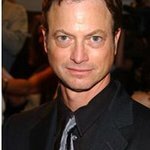 Some locations are offering additional items to choose from. This will mark the fourth year that Rock & Brews Restaurants have offered free food on Veterans Day. This year, however, the brand will take things to a new level with a month-long fundraising effort benefitting the USO, a military support organization whose mission is to connect service members to family, home and country throughout their service to the nation. Working in partnership with the USO and Coca Cola, Rock & Brews will donate proceeds from the sales of a specially designed camouflage t-shirt from Nov. 1 to Nov. 30 to the USO. Free food will be offered from opening till close on Nov. 12 with proof of service. The offer is limited to one item per person and available for dine in only. In addition to Veterans Day, Rock & Brews locations nationwide partner with local military and veteran organizations to support veterans and military personnel in their communities throughout the year for their grand opening fundraisers and other events. For more information about Rock & Brews and the Veterans Day offer and participating restaurants, please visit www.rockandbrews.com.